There are a number of different grape varieties with the name ‘Muscat’. The finest and perhaps the one you’re most likely to encounter is the Muscat Blanc à Petits Grains. This variety is found in dry wines in Alsace and the fortified sweet vin doux naturel of Beaumes-de-Venise, both in France. A variant is also the main component of the astonishing fortified Rutherglen ‘sticky’ wines of Australia and it is the major component of the semi-sparkling, medium-sweet Asti wines of Italy – where the grape is known as Moscato Bianco. This style of wine has reached worldwide popularity and is imitated all round the world. 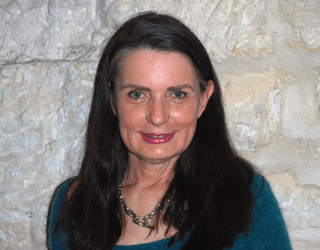 I once heard the opinion that Hunter Valley Semillon is Australia’s gift to the wine world. While I think there are many other outstanding wines produced in Australia, Semillon from the Hunter Valley in New South Wales is certainly a unique style, capable of ageing for decades and developing layer upon layer of complexity. Not to forget that Semillon is a major component in arguably the most famous dessert wines of the world — those from Sauternes and Barsac in Bordeaux — the provenance of the great Château d’Yquem. Originating in the Loire Valley in France, Chenin Blanc can now make as many wine styles as there are ‘new homes’ for it. The grape naturally produces wines with high acidity and a rich, sometimes oily texture. This gives great scope for winemakers from all climes to work with. In the Loire you can find dry, full-bodied styles with a crisp, appley leanness alongside rich and inimitably complex dessert wines, capable of long ageing. South Africa is grape’s best known ‘other home’, where Chenin is often made in a lighter, tauter, style. The grape is also finding its way to the USA, Australia and New Zealand. An immensely popular wine style at the moment, with many new world countries attempting to emulate the success of the Italian ‘Pinot Grigio’ wine style, which is typically light, fruity and easy to drink. A wine labelled with the French ‘Pinot Gris’ is likely to take itself more seriously and imitate the Alsatian style of wine — riper, redolent of pear and peach, with an oily and sometimes spicy palate. Pinot Gris in Alsace makes outstanding dessert wine too. New Zealand is the most recent country to seize upon this grape’s popularity, although winemakers there are making a conscious effort to emulate the ‘Gris’ rather than ‘Grigio’ style. The marriage of Marlborough and Sauvignon Blanc single-handedly took a country — New Zealand — and a grape — Sauvignon Blanc — to the front of the wine consciousness in 1980s and ’90s. The Marlborough style of Sauvignon — leafy undertones and bright tropical fruit — remains one of the world’s most enduring modern wine styles, and has been so successful that Marlborough has arguably trumped Sauvignon Blanc’s ‘authentic’ home — the Loire — as its pre-eminent producer. Many other new world countries — Chile, Australia, South Africa, for instance — are also attempting to capitalise on Sauvignon’s global success. Sauvignon from the Loire is typically less overt in tropical fruit character than the New Zealand examples, and often lighter-bodied on account of the cooler climes. 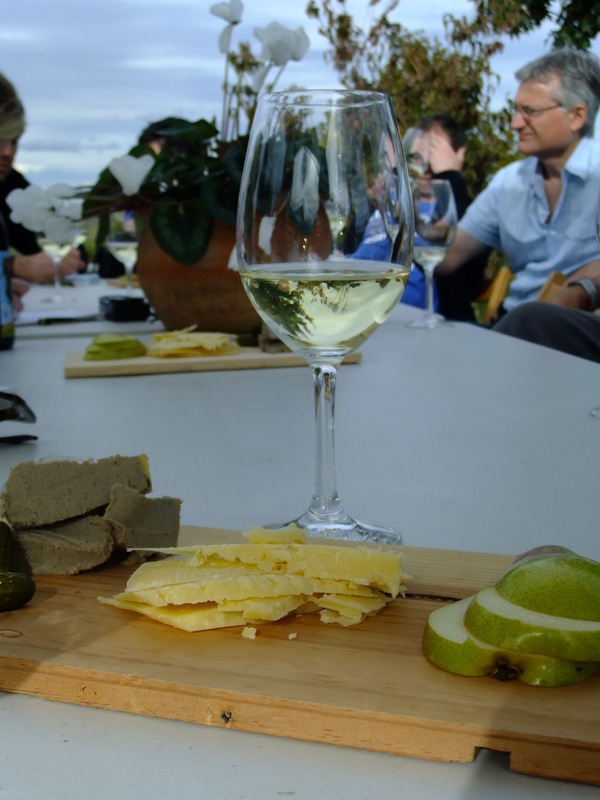 In both the Loire and New Zealand, Sauvignon Blanc is made unblended. In Bordeaux, however, Sauvignon forms one part of the Bordeaux Blanc blend (for both sweet and dry wines) alongside Semillon. Bordeaux wines, and Californian versions of the Fumé Blanc style, may also see some time ageing in oak, which is unusual in other parts of the world. 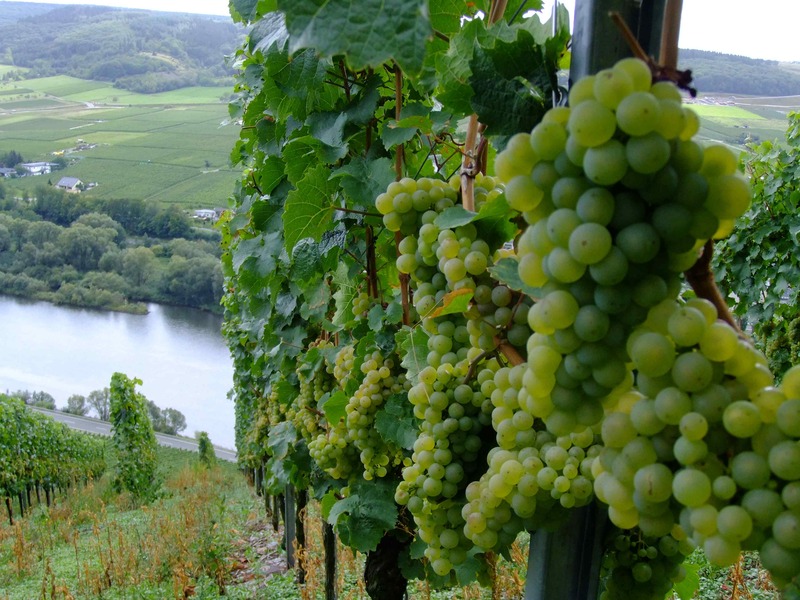 Riesling vines in the Mosel, Germany. Not as popular as Sauvignon Blanc globally, but in my mind a far more noble variety, Riesling can be made in a huge range of styles. The vine enjoys cool conditions with long sunny autumns to develop high sugar levels alongside razor-sharp acidity. This allows Riesling to be found with the entire spectrum of sugar levels — from bone dry through to richly sweet. Grown in the right conditions, it is also eminently suited to making icewine. This is one of the criticisms of Riesling though — that it is confusing for consumers to know what level of sweetness you are getting — and rightly so, given the traditional, and very technical, German labelling for ripeness levels. Riesling brings forth notes of green apple, lime, blossom, minerality, toffee, and the famed and disputed petrochemical ‘kerosene’ notes with age. Germany is the largest producer of Riesling, but alternative homes include Alsace in France and the Clare and Eden Valleys in South Australia, as well as the USA, Chile and New Zealand. Each region has developed its own take on the grape and its own voice in the Riesling spectrum. To my mind, Chardonnay is indisputably the king of white wine grapes. It is said to be a ‘winemaker’s grape’, meaning that the winemaker — rather than the growing location — has a greater influence on the style of the wine. Even in its traditional home of Burgundy, Chardonnay can be lean, racy and unoaked (Chablis), bold and powerful with notes of ripe apple, a creamy texture and maturation in new French oak (appellations on the Côte d’Or), or with fruit notes going toward peach and apricot and a range of different oaking styles (Mâconnais). The grape’s appeal spreads far and wide, and it is a true international variety now. Further north, it is a major component in champagne and English sparkling wine — and indeed in all other traditional method sparkling producers around the world. Further south, top quality Chardonnay is grown in Italy, California, South Africa, Australia, New Zealand and South America. In warmer climes the grape develops notes of apricots, mango and even pineapple. Some producers follow the Chablis model with no new oak treatment, some use French oak, others American oak, still others will prefer a blend of different oak treatments to create wines of incredible complexity. Chardonnay comes in all guises (though almost always dry) and at all price points. The worst are drinkable; the best are unparalleled.